Vacant land for sale with city water and sewer hook up available. This property is a great place to build your next small business, single family, or multi - family home! Zoned B -2, this land is within Fredericktown School District and is located in the heart of Fredericktown, nearby restaurants, grocery needs, the post office, and more. This property also has alley access on the right side of the lot. Priced to sell at $15,000. 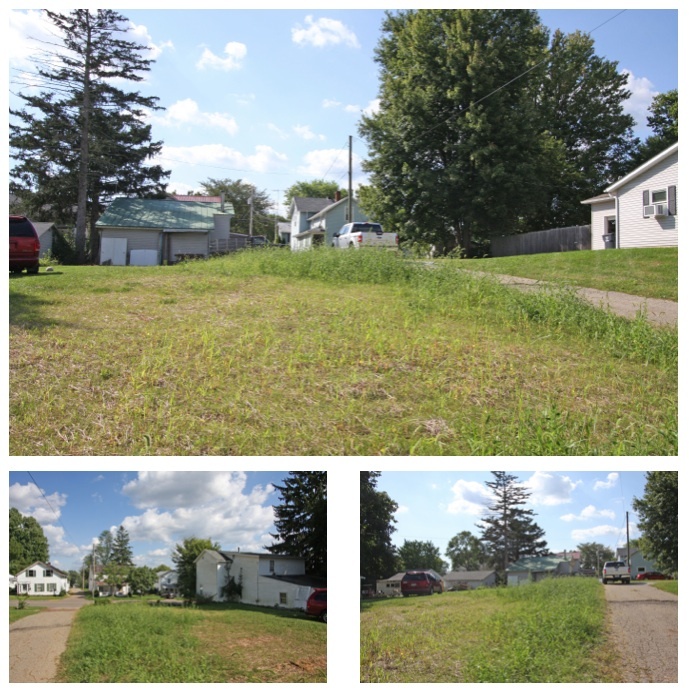 Click here for more informaton on this 75 South Main Street land for sale in Fredericktown, Ohio, 43019. To find all available vacant land for sale in Knox County, Ohio, click HERE. Beautiful 4 bedroom, 3 bath ranch home for sale on over 1.5 acres, located between Mount Vernon and Gambier, nearby the Mount Vernon movie theatre, medical needs, shopping, restaurants, and more. This well maintained home offers over 2,700 square feet of living space that provides a large living room highlighted with hardwood floors and a stone fireplace, as well as a cabinet filled kitchen with stainless steel appliances, an adjoining dining room, and stunning vaulted ceiling sun room filled with natural light that has access to the rear deck. This gorgeous property includes convenient main level laundry, an owner's suite with a private bath and tiled shower, a finished lower level with two bedrooms, a full bath, and L - shaped family room, relaxing covered front porch, and an attached 2 car garage with a concrete driveway. 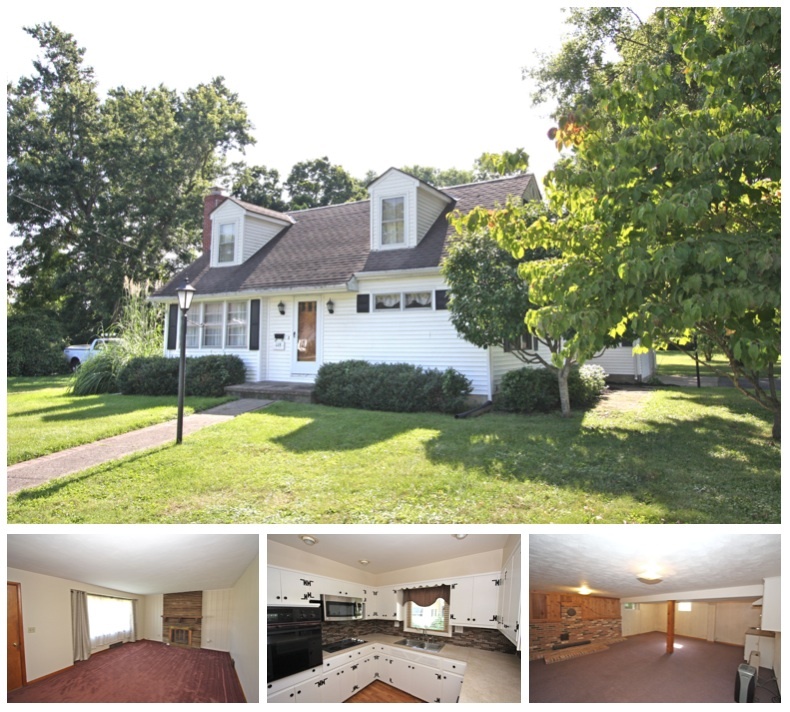 Located in the Mount Vernon City School District (Wiggin Street Elementary), this home is priced to sell at $275,000. 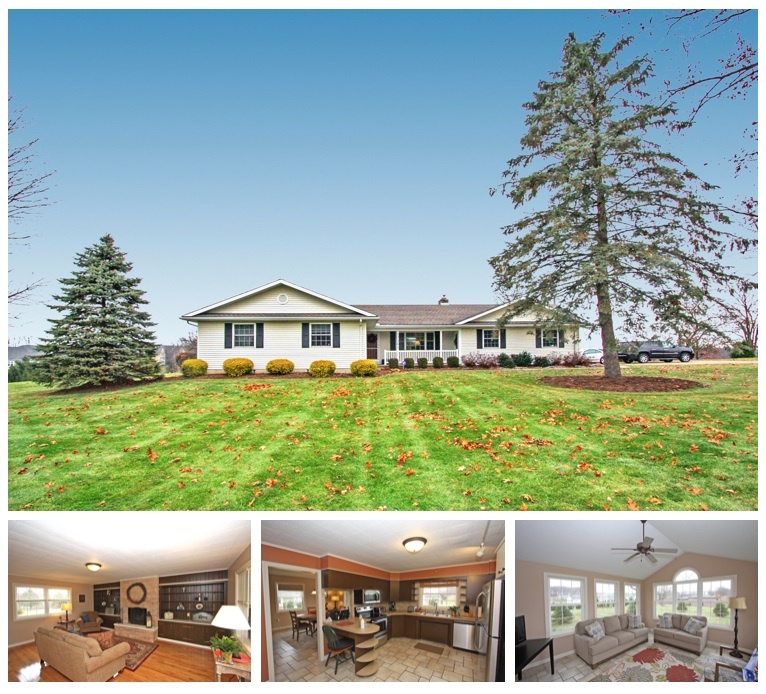 Click here for more information on this 17361 Gambier Road ranch home for sale in Mount Vernon, Ohio, 43050. Want to take a walk through the property now? Click the play button below to tour the property with our awesome Matterport 3D technology! This cozy ranch home for sale offers 2 bedrooms and over 1,300 square feet of living space. Entertain in the large living room that's highlighted by a fireplace and picture window, cook your favorite meals in the oak cabinet filled kitchen and devour your tastey cuisines in the nice sized dining area. This property offers convenient main level laundry as well as a covered front porch and relaxing rear patio space. This low maintenance home includes an additional parcel of level land as well as an attached garage, detached garage, beautiful brick exterior, and is located in the Mount Vernon City School District (Twin Oak Elementary). Available for quick possession, this home is priced to sell at $89,500. 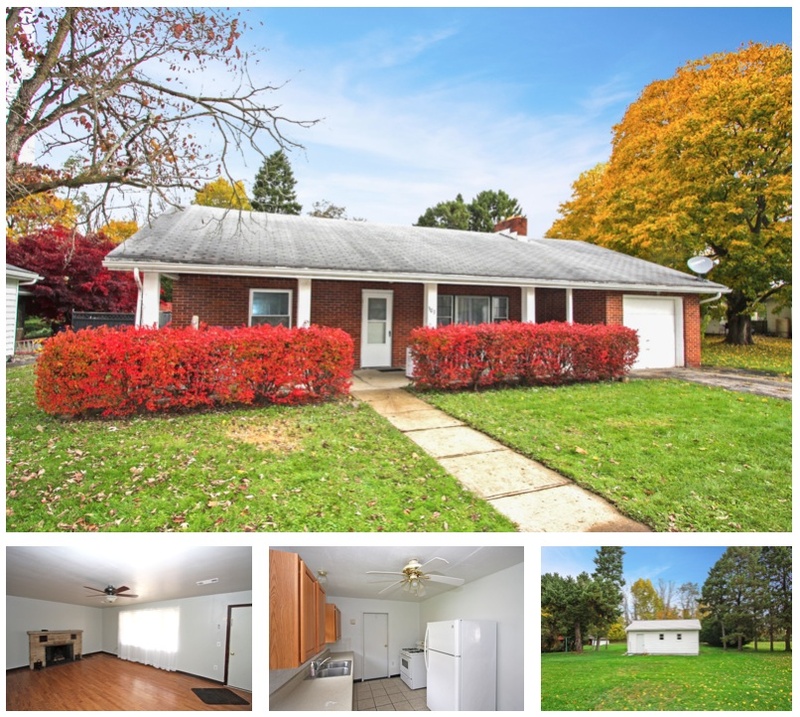 Click here for more information on this 307 Greenwood Avenue ranch home for sale in Mount Vernon, Ohio, 43050. To find all available homes for sale in Mount Vernon, Ohio, click HERE. Stay comfy and cozy this winter in this adorable 1.5 story home for sale. This lovely 2 bedroom property offers a nice sized "L - shaped" living / dining room combo that provides plenty of room to relax and devour your favorite meals. Enjoy cooking in the spacious oak cabinet filled kitchen with an eat in space and convenient main level laundry hookup and relax on the nice rear patio space. This West end home is close to Riverside Park and has nearby access to State Routes 36 and 229, making it very convenient for those who commute. This property also offers forced natural gas heat as well as a detached garage with an attached storage area. Located in the Mount Vernon City School District (Twin Oak Elementary), this home is priced to sell fast and won't last long for only $60,000. 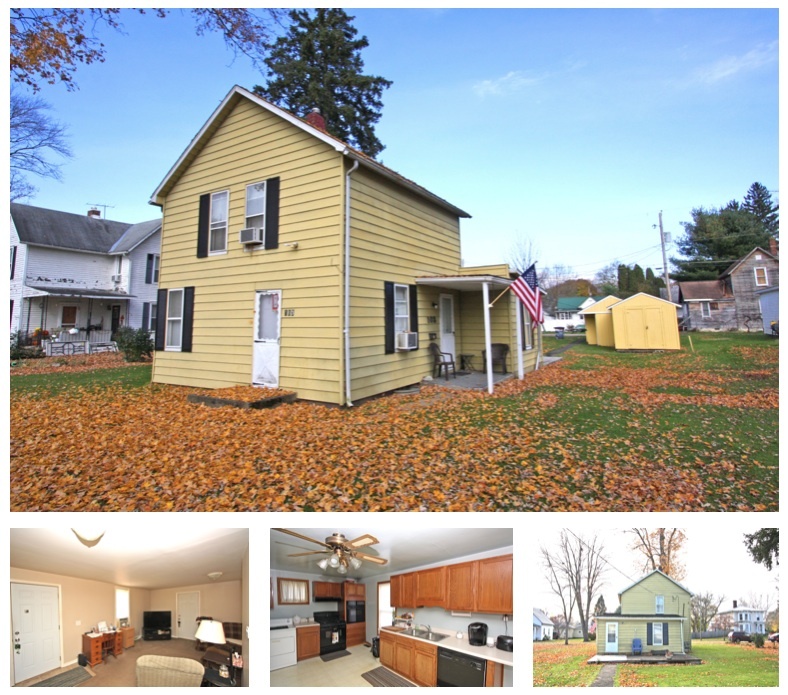 Click here for more information on this 103 West Walnut Street home for sale in Mount Vernon, Ohio, 43050. Well maintained 2 bedroom, 2 full bath home for sale that offers easy care living and a vaulted ceiling living / dining room combination with glass sliders that lead to the relaxing patio. Cook in the white cabinet filled kitchen with major appliances and enjoy convenient main level laundry, an owner's bedroom with it's own private bath, concrete driveway, and attached garage. This beautiful property is located in the Mount Vernon City School District (Pleasant Street Elementary) and provides a nice location nearby local shopping, restaurants, medical needs and more. Available for immediate possession, this home includes forced natural gas heat, central air conditioning, and lots of natural light. Priced to sell at $120,000. Click here for more information on this 8 Highmeadow Drive condo for sale in Mount Vernon, Ohio, 43050. To find all available Knox County, Ohio condos for sale, click HERE. Situated on a level, easy care corner lot, this lovely 3-4 bedroom, 2 full bath home for sale offers over 1,900 square feet of living space. Enjoy an open greatroom floor plan that includes a living room, dining area, cabinet filled kitchen with a center island, and adjoining main level family room. This property also features a first floor owner's suite with a sitting room and its own private bath, as well as a relaxing screened in porch, convenient main level laundry, and a detached 2 car garage. Located in the Mount Vernon City School District (Twin Oak Elementary), this home is selling in "as is" condition and is priced to sell at $74,900. Click here for more information on this 608 West Gambier Street home for sale in Mount Vernon, Ohio, 43050. Find all available Mount Vernon, Ohio homes for sale by clicking HERE. 2 Story Home For Sale Across From Pleasant Street Elementary at 306 East Pleasant Street in Mount Vernon, Ohio. Charming 3 bedroom home for sale across from Pleasant Street Elementary situated on a level, easy care corner lot. This property offers over 1,200 square feet of living space, a large open living room, and a spacious eat in kitchen with convenient main level laundry hook up. Enjoy the first floor owner's bedroom, forced natural gas heat, central air conditioning, a detached 2 car garage, concrete driveway, and convenient location nearby local shopping, restaurants, and medical needs. This home is selling in "as is" condition and is priced to sell at $69,900. 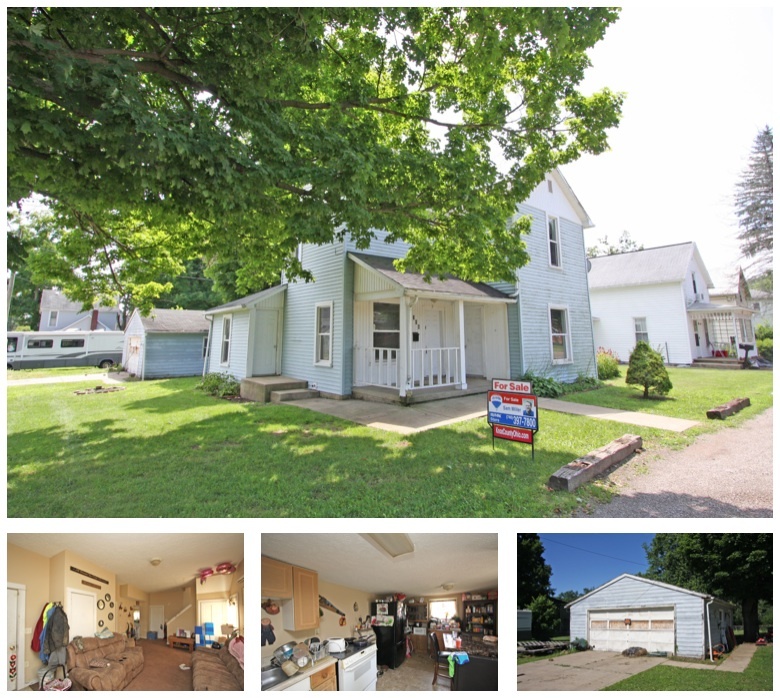 Click here for more information on this 306 East Pleasant Street home for sale in Mount Vernon, Ohio, 43050. Gorgeous Fredericktown, Ohio home for sale that offers 3 nice sized bedrooms, 2.5 baths, and over 2,700 square feet of living space. 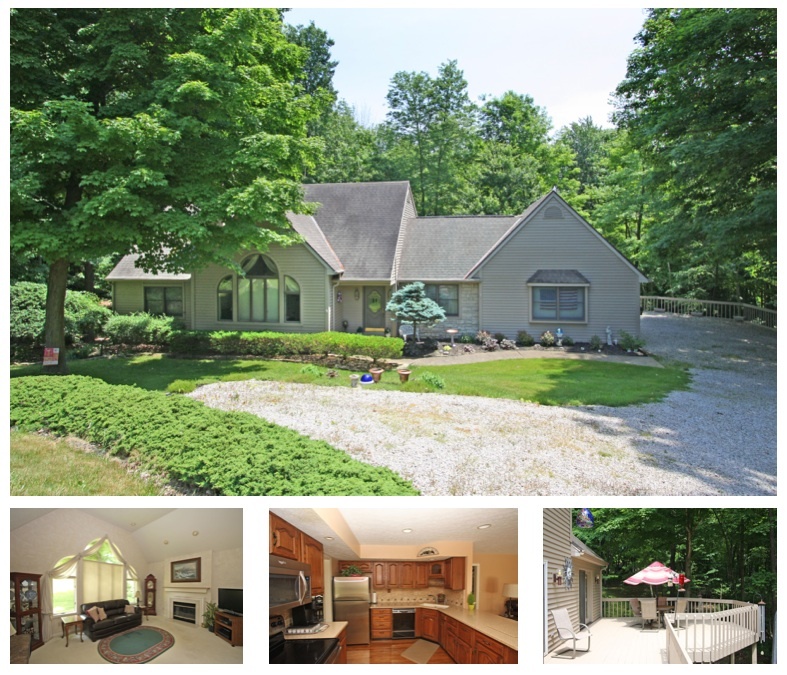 This lovely home is situated on 4 parcels totaling in over 0.6 acres of ground and provides seasonal lake views. Enjoy a grand 2 story living room with a fireplace and open staircase as well as a formal dining room, cabinet filled kitchen with major appliances, breakfast nook, and adjoining family room, all highlighted with hardwood flooring. This property also features convenient main level laundry, a first floor owner's suite with a deluxe private bath, finished walkout lower level with bonus room and second family room, relaxing rear deck and lower level patio, an attched 2 car garage, forced propane heat, and central air conditioning. 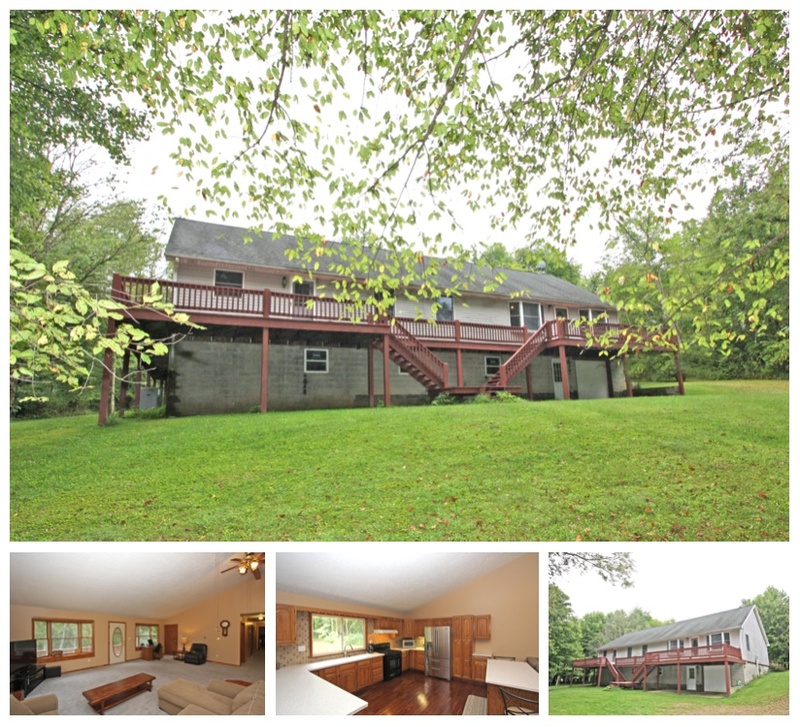 Located in Fredericktown School District, this beautiful property is priced to sell at $287,000. Click here for more information on this 12700 Hilltop Drive home for sale in Fredericktown, Ohio, 43019. Enjoy privacy with this lovely ranch home for sale situated back off the road, resting on top of 5.5 acres and decorated with pretty greenery. This beautiful home boasts 3 oversized bedrooms, 2.5 baths, and a massive great room floor plan that features a living room, dining area, and pretty cabinet filled kitchen with solid surface countertops. You'll surely appreciate the owner's suite with it's gorgeous on suite bath and walk in shower! With over 2,100 square feet of living space, this home also features convenient main level laundry, a full walkout lower level, attached garage, a modern propane furnace and heat pump, and lots of decking that's excellent for entertaining, get togethers, and relaxation. 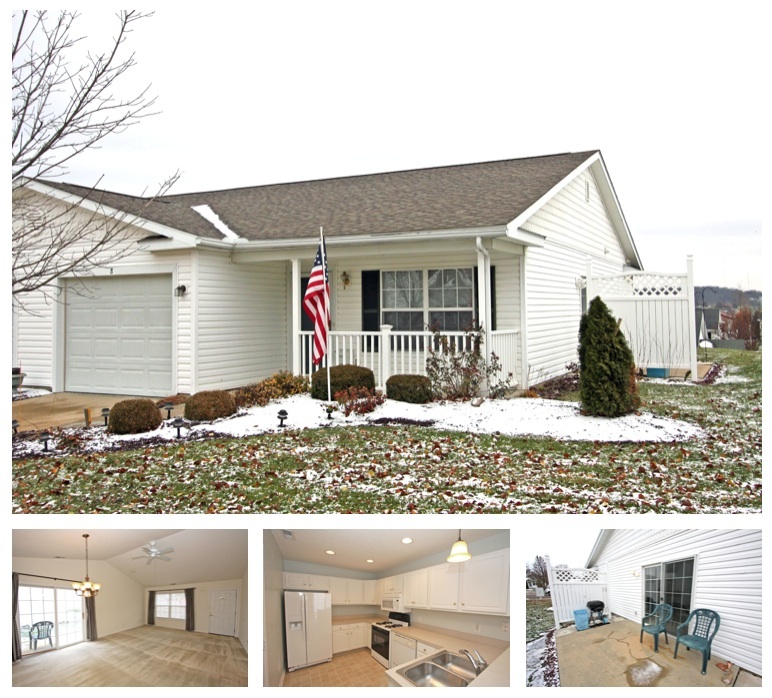 Located in the East Knox School District, this home is priced to sell at $235,000. 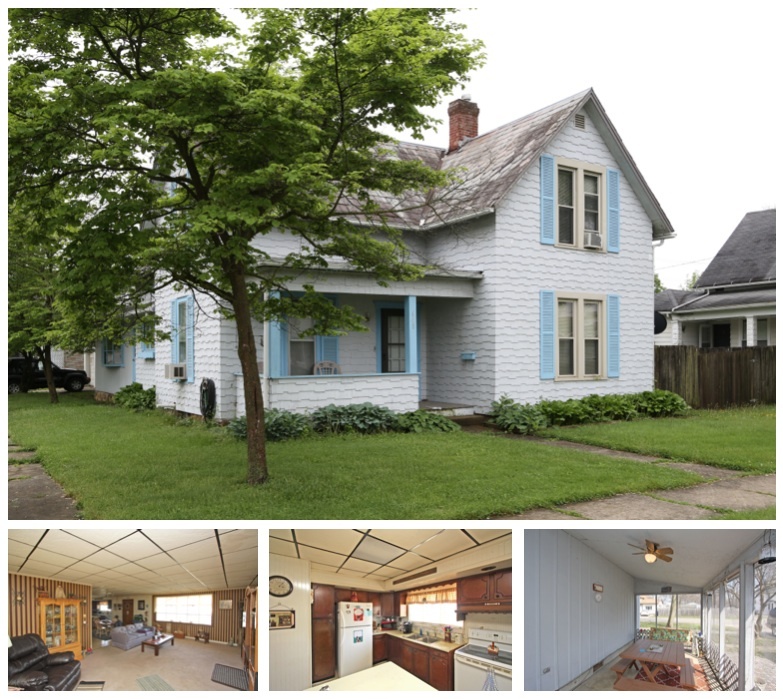 Click here for more information on this 19028 Coshocton Road ranch home for sale in Mount Vernon, Ohio, 43050. This charming cape cod home is sure to please with its curb appeal and fantastic city lot that totals in 0.76 of an acre. The property provides over 1,900 square feet of total living space that includes 3 bedrooms, a finished lower level with a huge family room and wet bar, as well as a large living room with a gas log fireplace. Entertain guests in the nice sized dining area open to the white cabinet filled kitchen with major appliances or relax in the sizeable and level backyard. This humble abode features an enclosed breezeway attached 2 car garage, paved driveway, natural gas heat, central air conditioning, and is located in the Mount Vernon City School District (Twin Oak Elementary School), nearby local restaurants, shopping, and more. With it's character and attractive presence, this home surely wont last long and is priced to sell at $145,000. Click here for more information on this 119 Martinsburg Road home for sale in Mount Vernon, Ohio, 43050. To search all available homes for sale in Mount Vernon, Ohio, click HERE. Click below to take a 3D tour of this property and find a unique drone perspective that captures this home, its pretty lot, and surrounding neighborhoods.